Although Audience Theory has several proprietary methodologies, each client project represents a unique situation and requires a custom approach. Please get in touch if you’d like us to take you through more specifics of how our work provides value. Comedy Central came to Audience Theory in search of inspiration that would help them think bigger and bolder about Millennial audience connection. We applied our Best-In-Class- Analysis™ to take a holistic look at brands that are making a strong millennial connection across categories and across platforms. For example, if Trader Joes is consistently ranked a favorite brand by Millennials, what can a media comedy brand learn from a grocery store chain? 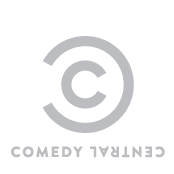 The result of our study are 12 Best-In-Class Milennnial brand ideas that Comedy Central is now focusing on to build relevancy with this group. "Your presentation was a slam dunk and left the audience wanting more. We can’t wait to work with you again." 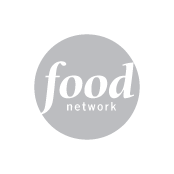 Food Network came to Audience Theory with two key questions: "What's behind our audience's connection to content outside of the food category?" and "What does that mean for expanding our own content experience, without alienating our fans?" We applied our Anatomy of a Hit™ methodology to identify the audience connection points that bridge Food Network’s hit content with other styles of reality content. Through our work we were able to help the Food Network identify underlying story themes that were making a strong connection with their target audience. The output of our work included Anatomy of a Hit™ themes, Hit Show Decoders, Food Network Audience Connection Points and a set of guidelines that Food Network could use to strengthen and assess shows in development. "Its been almost a year and people continue to reference our study in order to make decisions." Campell's seeks to expand its brands in order to be more relevant to people who are looking to live a healthier lifestyle. The brand had an opportunity to partner with a very well known health guru in order to grow the brand in a new way. Should they launch a new brand of soup? Should they launch a number of different products across a variety of their brands? What role should this health guru play? Which audience is the right audience to start with? We applied our Growth Planner methodology to identify the different ways in which Campbell's could approach health wellness opportunities. One aspect of our work involved a unique approach towards qualitative research and projective techniques that led to segmenting consumers based on their level of wellness sophistication: beginner, middle, and advanced. Each segment has different need for relevancy in products and communication and different implications for growth. A surprise for everyone. Once we did the research, it was clear Campbell's did not need to partner with the health guru in order to make a strong wellness connection. The Growth Planner brought to life different paths tangible and compelling. Since our work, Campbell’s has expanded their line of Select Harvest soups based on "regionally inspired recipes,” one of many of the growth planning ideas we presented, and reached almost 4 million new households in the first year. 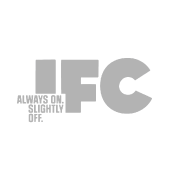 IFC was seeking to evolve its brand to include new and “lighter” content experiences and connect with a younger, male audience. This desired brand image shift coincided with a shift in IFC’s business model from a sponsorship- supported cable network outlet for indie films into an ad-supported network with a new focus on original primetime programming. IFC engaged Audience Theory to create a brand roadmap that could help unite teams and lead the network forward. We analyzed consumer insight and conducted leadership interviews in order to understand makes a great entertainment experience. We isolated the brand’s most important audience connection points and defined the brand’s “words to use, words to lose”™ to guide external messaging. Every step of our process was based on our understanding of IFC’s unique work culture and making sure the final Brand Culture Book™ could function within this environment. The Brand Culture Book™ for IFC provides every employee a deep understanding of IFC’s business culture and how to communicate that story to others. Department “drill downs” define implications of the overarching strategy across job functions. The Brand Culture Book™ also provides on-going inspiration for creating brand experiences that will connect deeply with their core audience and help reinforce IFC’s efforts to own a distinct position in the marketplace. The leadership of MTV Networks needed to get new knowledge and perspectives around the issue of consumer privacy – and they needed this information quickly. MTV Networks partnered with Audience Theory to get a clear assessment of what is known on the topic, and identify knowledge gaps and ways to frame the issues for Viacom leadership. Audience Theory's The 101™ is a customized subject report that turns readers into “armchair experts”. We applied The 101 methodology to identify key perspectives around consumer privacy. Our research took us deep into public policy debates and led to interviews with the world's top CMOs. 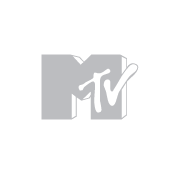 During the course of our research, we identified a critical debate at the heart of consumer privacy issues and this framework informed MTV’s internal strategy around the issue. Our study resulted in a 30 minute presentation that gave audiences the what, why and how of consumer privacy and it’s implications for MTV Networks and its chief brand partners. For those who wanted to go deeper, we provided a 100+ report that demonstrated all the key dynamics influencing the issues of consumer privacy and where it’s headed. "We spent the hour reviewing and discussing the Privacy 101 presentation. Your work made us all instant experts on the topic and helped us make a decision. Thanks so much." Each year TV Land comes to us for fresh insight on how 40 somethings are thinking and behaving in today’s culture. Our Emotional Forecasting™ methodology is designed to identify emerging cultural shifts that represent new opportunities for brands to connect. In the case of entertainment, these opportunities inform brand planning as well as content development and promotion. Our most recent study for TV Land focused on shifts in 40 something women’s behavior through the lens of four critical emotional drivers: friendship, family, love and empowerment. We identified how each of these drivers are impacting women’s daily lives today – from how they approach making their marriages work to what they think about parenting styles to how they spend their free time (and what they’ll do to make sure they get that free time!). Our final presentation included anecdotes and video testimony from these women that brought to life the most important insights TV Land needed to understand for guiding development and promotion of content in a way that will get these women to notice their shows and connect. This study guided decisions internally and was presented to TV Land’s ad partners as a thought-leader piece.